This is 357 Mag Winchester USA 110gr. Hollow Point Ammo. It is brass cased and boxer primed. 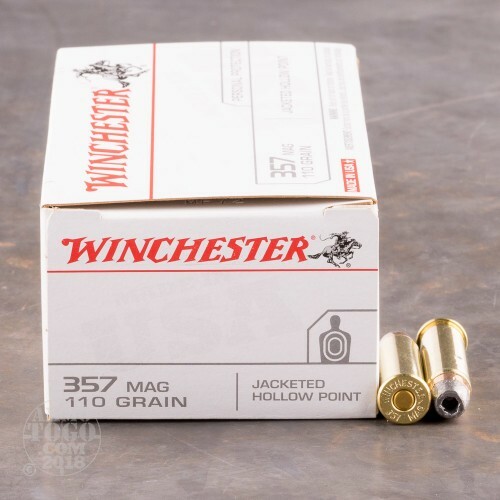 It is good reliable personal protection ammo at an economical price. It comes packed in 50rd. boxes, 10 boxes per case. 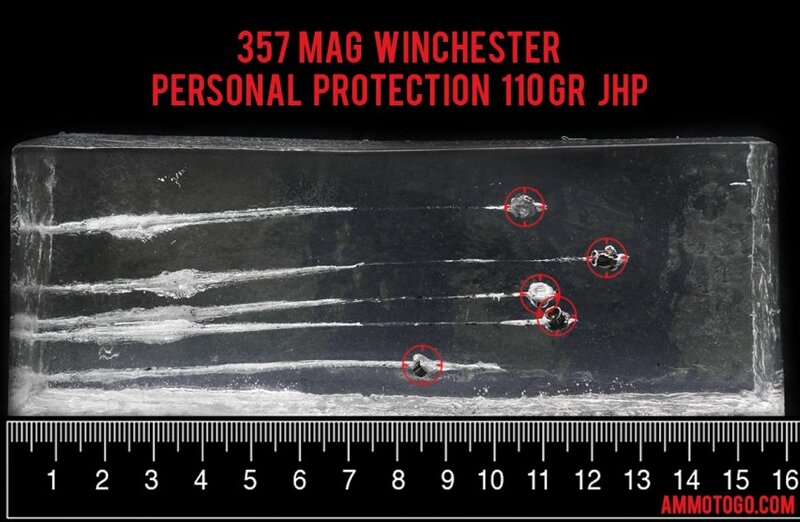 We fired five rounds of this Winchester Ammunition 357 Magnum ammo through a cloth barrier into Clear Ballistics calibrated synthetic gelatin and recorded the results. For these tests, we used a S&W 640 with a 2.125-inch barrel. 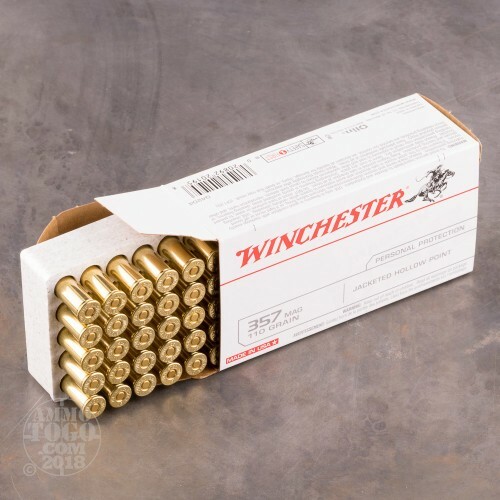 In the photos, graphics and video on this page, you can see specifically how the Winchester Ammunition ammo performed and how it sticks up with the rest of the 357 Magnum ammo we have tested so far. 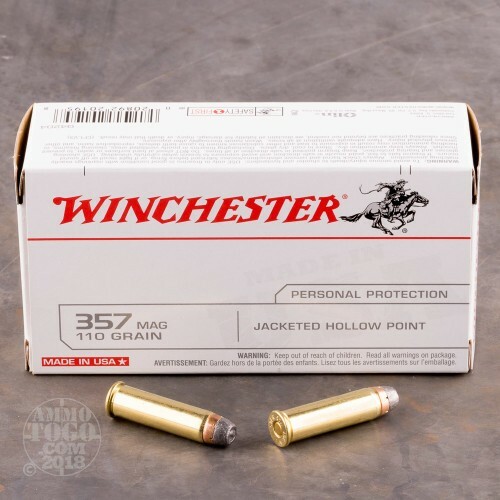 How do the results for this Winchester Ammunition 357 Magnum compare to other 357 MAGNUM? 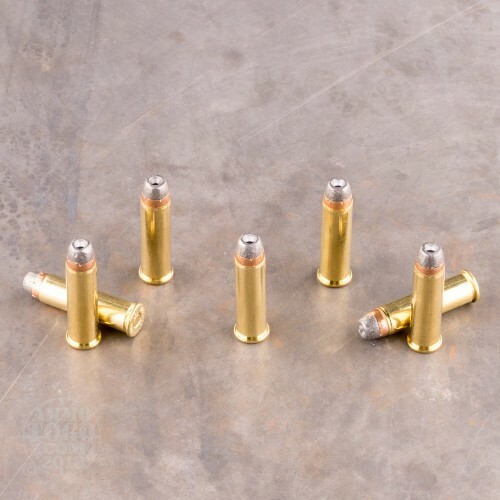 Expansion Diameter Compared to All 357 Magnum Ammo Tested MIN 0.35" MEDIAN 0.55" THIS AMMO 0.59" U.S. dime MAX 0.75"
Penetration Depth Compared to 357 Magnum Tested 0" 10" 20" 30" MIN 9.2" MEDIAN 17.3" THIS AMMO 11.5" MAX 41.7"